I too have been very disappointed in the number of scammers on this site anymore..... when I first started in 2010 when it was Odesk, there were a lot of legitimate employers out there and I worked more than 20 contracts; one employer kept me for 6 years! I was recently laid off so now I'm trying to find other contract work here and there's nothing but scamming all day long! This is a great idea as far as a portal to put legitimate employers with contractors, but something should be done about all the scammers...... I get several invitations per week that are all scams!! Upwork, PLEASE do something about the scammers! There are a lot of long-time contractors looking for legitimate work and now that you've changed your fees to the company, you are making more money than before, so I believe that something should be done to weed out the scammers! I couldn't agree more John. Thank you! Just on Friday what seemed to be a legit employer wanted to interiview me.. first asked me for Skype and I said NO - I want a phone conversation first.... ok, then we were supposed to talk then he backed out 10 mins before our scheduled time.. rescheduled for Mon... guess what? never called me or wrote me back - company doesn't exist!! ..... you've got to be careful!!! Wow. I'm glad I read this. I'm a newbie in odesk. It's good to know this before I get started. Thank you for taking the time to write this post! 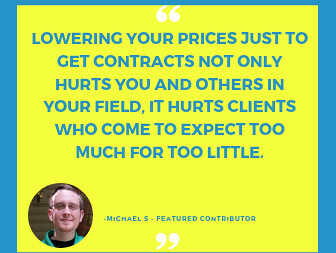 I came on here looking for answers to clients wanting commission-based freelancers. What are your thoughts on that? Also, (question for you and everyone) how can commission-based jobs be tracked on Upwork? I know there's a fixed-price option, but don't you have to set milestones? How do you predict commission?! I believe commission only jobs aren't allowed, but they could pay you a flat rate and then a bonus based on your sales. Just make sure you have a way to track your sales. UpWork is a mine field. I have tried it for 2 months and had all BAD experiences. They take a perent of every dollar that passes to the freelancers. Maybe they could spend some of that money to filter the employers and positions. Joe H: UpWork is a mine field. I have tried it for 2 months and had all BAD experiences. They take a perent of every dollar that passes to the freelancers. Maybe they could spend some of that money to filter the employers and positions. I am new here. Havent started up any work yet. I notice some big named Companies that do these long and drawn out interviews on Google Hangouts. I notice they need to hire al these people but have no history with previous projects. This is very confusing deciphering what is real vs what is a sham. Can someone explain the most used method for a Company looking to use you as a free lancer? 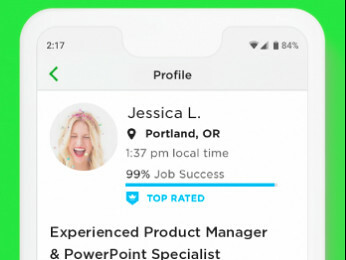 -- How many people have they actually hired on Upwork and what the reviews are. I also take notice if the clients don't give feedback to freelancers. SInce feedback is very important, I typically shy away from clients who do not give feedback. -- How their posts are written and how concise they are. Numerous typos, incorrect grammar throughout the post, etc. Is the client too vague? If they are but you are still interested in the job, submit a proposal and ask for clarification on the details. Make note of any avoidance of an interview or answering specific questions. -- I try to avoid jobs saying they need more than 2 or 3 freelancers for one project, especially if it seems simple enough for one to do. They may be looking for free work. Think of it this way -- if you were hiring on here, you would be open to the idea but you would also have reservations. 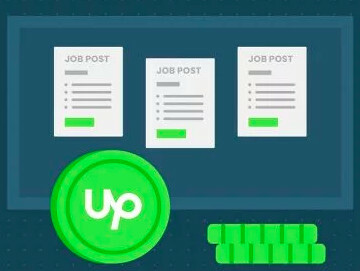 With that, you would want to make sure that your posts are concise and give a decent amount of details about the job that needs to be done in order to have the best experience possible using Upwork. Another thing that helps is knowing yourself and your career/financial goals. Knowing these things will keep you from being desperate to take anything, and your mind is clear to make the best decisions when applying on Upwork.